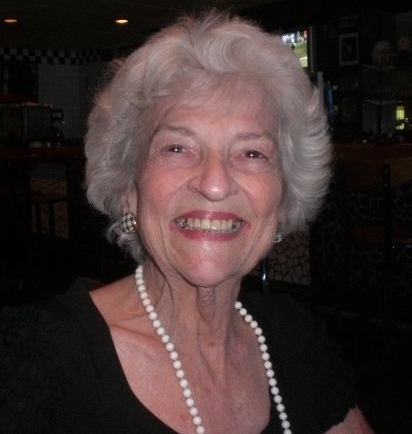 Mary Ann Martin Mitchell passed away on November 23, 2018 in Irving, TX at the age of 83. She was born October 11, 1935 in Dallas, TX. Preceding her in death was her Husband of 60 Years Ralph Mitchell, her parents Samuel & Evelyn Martin and brother Joseph Martin. She is survived by her daughters, Sherry Hamilton and husband Rick Hamilton, Michele Beavan and husband Bill Beavan, Gina McGilberry and husband John McGilberry, Treva Fry and husband Randall Fry; grandchildren, Steven Fritz, Wes Fritz, Blake Beavan, Brandy Garcia, Phillip Hamilton, Eric Gallup, and Mitchell Clark; great grandchildren, Faith & Payton Fritz, Hannah & Schylar Cook, Zaniah Fritz, Bralynn, Drew & Ayden Garcia; nephew Sammy Martin and wife Cindy, Nieces; Cathy Groves and husband Phillip Groves, Dee Ackerson and husband Rod and numerous extended family and dear friends. In her early years she was an accomplished dancer and opera singer and sang for the Dallas Metropolitan Opera that earned a scholarship to Indiana University where she met the love of her life. After raising her 4 daughters and wanting to finish her education she graduated from the University of Texas at Dallas with a BA degree in Linguistics at age 55 while working full time in the family business. After an early retirement she went on to teach ESL students in the Dallas & Irving School Districts until she retired again at age 73. She then became a volunteer board member for the City of Irving’s Advisory Committee on Disabilities and participated in Spanish classes at Irving Senior Center. She was a very talented, passionate, intelligent and remarkable woman who made sure you knew the importance of education. She touched so many people in so many ways during her long full life and will be sorely missed. Mary Ann had such an indomitable spirit and joie de vivre! I am flooded with memories of family reunions and so many past Christmas white elephant fun. Now that she is with Sonny our memories will always keep them close to us in our hearts. I will always remember your mom's sweet smile. Praying for comfort. Your momma inspired us all. She lived a full life, gave so much joy and love to everyone she met. We will miss her on this earth but know she is smiling down on us today and everyday! Loved her so. I am so sorry Treva. I remember meeting your mom at our nursing graduation party. She was so high energy and full of laughter. Very sorry and praying for your family. You all are in our thoughts and prayers, as we send you our deepest condolences. Your mother was an awe-inspiring woman who graciously rose above the challenges of life. Gina we are so sorry for your loss. You are in our thoughts and prayers. We hope that wonderful memories are a comfort during this difficult time.